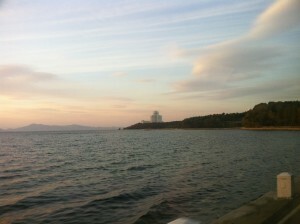 Wonsan, on the DPRK’s east coast, by all accounts, used to bustle—at least by DPRK standards. If the recent outreach between Japan and North Korea bears fruit, Wonsan could undergo a 21st century revival. Since Japan banned all trade with the DPRK in the wake of the disastrous Kim-Koizumi summit of 2002, Wonsan has been a shell of its former self. The Mangyongbong 92—the ferry that once brought both goods and people back and forth—has sat moored at the port since 2006, ill-fated ‘Rason luxury cruises’ notwithstanding. Of all the planned Special Economic Zones (SEZs) that were announced last year, however, Wonsan will be the one where real change may take place. Compared to the other zones, it is something of a “national focus” that already has had and will continue to receive more central support than the other SEZs. 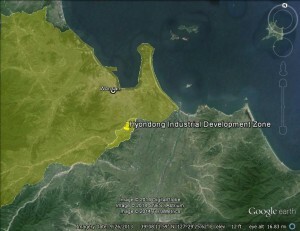 Wonsan currently boasts the Hyondong Industrial Development Zone, a 2 km-square zone embedded in a much larger Special Tourist Zone. The boundaries for the tourist zone seem to not yet be fixed, but will likely extend west all the way past Masikryong (Masik Pass) Ski Resort to Sinpyong, another already designated special tourist area. Ultimately, some in the DPRK envision a zone that links up with Mt. 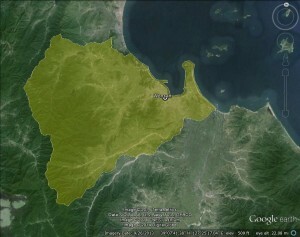 Kumgang, some 150 km south of Wonsan. They have grandiose plans: attracting $100 million investment in tech and light industry at Hyondong, one million visitors per year to Wonsan, and a new international airport. These expectations are ambitious, to use a generous adjective. One thing is clear, however, and that is for any of these plans to succeed even partly, Wonsan will need Japanese or South Korean investors and visitors—ideally both. Some North Koreans recognize this, even if no one is openly stating that Wonsan needs Japan or South Korea to thrive. The prospects for improved inter-Korean relations looks tenuous, despite the mood in the South having once shifted towards engagement. President Park Geun-hye has said too many things about her vision of unification by absorption as of late. It is difficult to overstate how much Pyongyang loathes such talk, but they tried their best to convey it with the kind of invective you might expect to hear between football hooligans, not governments. However, the prospects for some kind of breakthrough between Japan and the DPRK look surprisingly positive. The contemporary impasse between Japan and North Korea has hinged on essentially one issue: the abduction of Japanese citizens in the 1970s and 80s by North Korea, and the lack of a clear or credible explanation of the fate of most of the abductees. This issue is far from simple, but compared to dealing with nuclear weapons or ballistic missile issues, which fuel tensions between the DPRK and both China and the US, it is an issue more easily addressed. The latter two go to the very heart of Pyongyang’s security concerns as well as impacting Japan’s security, the trilateral alliance and China’s position as a rising power. The abduction problem is largely about properly acknowledging and possibly repatriating people and remains to the satisfaction of the Japanese families who have a stake in the issue. In this context, the past year has seen cautious and deliberate progress towards that goal. Japan’s Isao Iijima, an advisor and campaign aide to Prime Minister Shinzo Abe, certainly has an interesting travel schedule the past 12 months or so. Last May he visited Pyongyang for meetings. He followed that up in December with a trip to Washington DC in a very under-the-radar fashion, ignoring many of the usual protocols that one would expect for someone of his political stature. Last October, he held secret talks in Dalian with North Koreans. He may have met them again in Vietnam in January 2014. Then Japanese and DPRK officials held talks in March on the sidelines of two Red Cross meetings in Shenyang, after which they announced that formal government to government discussions would take place. The two countries had further working-level talks between bureaucrats at the end of March in Beijing and have had other meetings in Shanghai. This led to a meeting in Sweden in late May, at which Japan promised to lift a portion of its unilateral sanctions on North Korea once Pyongyang sets up an investigation committee and starts a “comprehensive and full-scale survey of all Japanese” including abductees. On July 1, at a meeting in Beijing, Pyongyang informed Tokyo not only of the establishment of a new investigation into the issue, but also provided a list confirming that at least 10 abductees are still living in North Korea. This was beyond what most observers expected and is a good start toward mollifying Japanese public opinion, which is of crucial importance if there is to be continued progress. Japan’s cabinet on Friday confirmed some of the autonomous sanctions would be lifted. Money transfers were made easier, as was travel between the two countries. Importantly, exports to the DPRK are still forbidden and DPRK-flagged ships can only port in Japan for humanitarian purposes. Trade will have to wait and the Mangyongbong-92 will, for now, remain moored in Wonsan, a symbol of Japan’s judicious caution. Indeed, Japan has been very deliberate in its step-by-step approach, while also displaying a keen understanding of the kind of buy-in they need from institutions and individuals in Pyongyang. Furthermore, on the domestic front, Abe has the conservative résumé—perhaps as President Nixon did when he reached out to China—to fend off complaints from his country’s vitriolic right-wingers. His party’s position is also sound, with an opposition Democratic Party of Japan (DPJ) that is disorganized and weak. The abduction issue is close to Prime Minister Abe’s heart. He came to prominence on the back of it in the early 2000s under former Prime Minister Junichiro Koizumi and solving this problem would be a huge feather in his cap. Beyond the potential political windfall, Japan would be keen to get its hands on North Korea’s large, unexploited deposits of rare earth minerals, necessary for the production of pretty much all electronics. China controls 80 percent of the world’s production of these minerals and as China-Japan relations remain tense, this has been a source of concern for Japanese businesses. As for the North Koreans, they are desperate to diversify economic relations away from China. A deal with Japan would also put greater pressure on Seoul to find ways to get involved in North Korea’s economy. The South has already conceded much influence to China since the end of the “Sunshine” era and would be loathe to see another neighbor take advantage of the North’s resources. However, Pyongyang and Tokyo are both quite reasonably worried that a deal could yet fall apart—they thought they had nailed normalization in 2002, only to have it blow up in their faces. Indeed, Kim Jong Il and Junichiro Koizumi’s miscalculation of how the abductions admission would play in Japan proved paralyzing. Japanese right wingers, with Abe as an ally, poured fuel on the fire; North Korea compounded this with further claims on the issue that seemed less than credible. From Pyongyang’s perspective, they risked a lot in 2002 and they can’t afford to have this attempt also fail, causing another decade absent Japanese trade. In fact, the reparations/aid package that the two countries were moving towards in the early 2000s is almost certainly not in the cards any time soon: after all, from Japan’s perspective, the missiles and nuclear weapons are still an issue and they can’t strike out too far from their allies. For now, a resumption of trade and port calls for Korean ships will probably be enough of a goal for Pyongyang. It’s hard to believe when one looks at North Korea’s current dependence on China, but throughout the 1990s, trade with Japan was almost a great as trade with the PRC. Throughout the late twentieth century, Wonsan was always considered a resort town, an idea being reclaimed with vigor by Kim Jong Un. Wonsan will never be Busan or even Nampo, but it has long been a link to the center of the peninsula for Japan, first driven by the discovery of gold in the region in the 1880s. The gold boom gave locals purchasing power that other provinces did not enjoy, making it an outlet for Japanese goods since before the colonial period. In the 1960s it became the locus of Japanese-Korean repatriation. The emotional and social incentives for repatriation waned in the late 1960s and 1970s, but following a 1979 change in Japanese law, visitation (and return to Japan) was allowed for pro-North Koreans resident in Japan. In the 1980s, the Mangyongbong ferry ran dozens of times a year, bringing hundreds of visitors a month. It also brought businesspeople who connected Korean-Japanese businesses with the homeland. People and goods used to flow regularly through Wonsan—visitors to the city in the early 2000s described the food products, electronics and cars, as all being Japanese. Today, there are few foreign tourists and the TVs are Chinese. What Wonsan needs most (or at least first) in order to reclaim its former glory—more than skiiers and ‘light-industrialists’—is traders and Korean-Japanese visitors. If the export and shipping ban were to be lifted, this would very quickly foster two-way trade through Wonsan. Moreover, because the DPRK’s economic environment has continued to become more “private-ish” than it was when trade was shut down, one could expect a greater diversity of actors and perhaps a wider disbursement of profits. 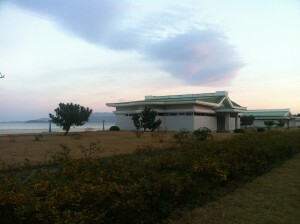 Chongryon (the General Association of Korean Residents in Japan; the organizational home of pro-North Koreans in Japan) may not be what it once was, with fewer members and less economic clout than in days gone by (in fact, this is not unrelated to the negative PR from the abduction issue). But there are hundreds, if not thousands, of pro-North Korean Japanese businesspeople ready to move once the rules relax. And while some of Pyongyang’s plans for Wonsan are pie-in-the-sky, there are changes taking place on the ground already. Several hotels and other facilities are being refurbished. Indeed, conversion of the scenic Kalma Peninsula from an Air Force retreat to a tourist resort was completed last year (though military live fire exercises still take place in the area). If Pyongyang and Tokyo can put something together, Wonsan will be the big winner, first from visitors and imports, then perhaps through export of resources to Japan. It is important to recall, however, that in 1992, Japanese interest in North Korea was quite strong, with a number of high profile businesspeople taking part in a large trade mission that year. Within months, this interest was shunted aside as the DPRK’s missile and nuclear programs took center stage. Wonsan will be hoping that the recent progress between Pyongyang and Tokyo isn’t similarly undone. Kirk W. Larsen, Trade, Dependency and Colonialism in Korea at the Center: Dynamics of Regionalism in Northeast Asia, Charles K. Armstrong et. al eds. (M.E. Sharpe: New York, 2005) 55-57. Sonia Ryang, Koreans in Japan: Critical Voices from the Margin (Routledge: New York, 2005) 40.